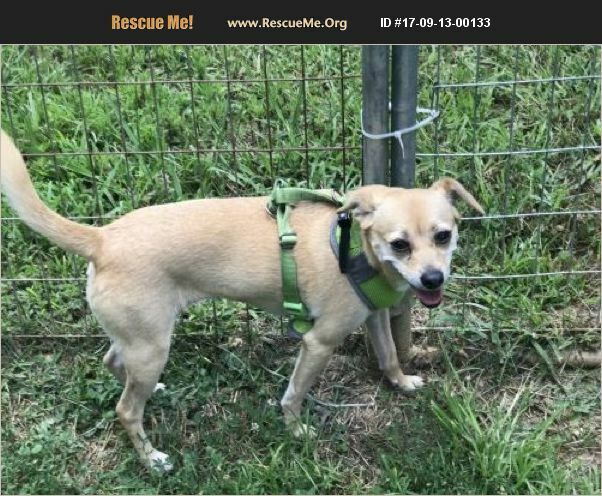 South Carolina Feist Rescue View other Feists for adoption. Date into Rescue: 6/16/2017 Reason for being in rescue: Owner release, health of owner. Foster location: Dreamweaver Farms, Pacolet SC Special Needs? none noted. Weight: About 18 lbs Height: About 13' at the shoulder Adoption Fee: $200 Fence needed? No - Sissy walks well on leash What kind of home would be best for me? Beautify Sissy was once the apple of her dad's eye but eye surgery robbed him of his sight and he could not look out for Sissy. During this time, they lived at an assisted living facility, Sissy got very protective and even though Dad told people not to come to his apartment when he was gone for Sissy didn't like that, a housekeeper did. Sissy took offense to the intrustion and chased the housekeeper out, nipping her in the process. Sadly, housekeeper's do not take kindly to that and reported the incident. Sissy's choices were looking very slim when CPR stepped in. Sissy's best home would be one that has a separate house and that understands that, as long as she knows she's not in charge, she has no reason to resource guard. Sissy also gets along ok with other dogs but would be very happy being an only dog. What is my personality like? Sissy has lived a fairly quiet life but because they lived in assisted living, she met a lot of people and is actually fairly social. She doesn't do well with lots of chaos and I think longs for the quiet days sitting on her dad's lap, but she does need a lot more exericse than she was getting and she is thriving living on the farm and walking with her foster pack. How do I act when I first meet new people? A bit stand offish but she is friendly enough. More tips and tidbits: Sissy is one of the few dogs we do not crate train. She is pretty well house trained although she'll need reminders. She loves to sleep cuddled up next to her foster dad at night. House trained? Dogs can be house trained if they are in the right environment and are allowed to follow a schedule as long as a physical reason doesn't keep them from being trained. A dog house trained in my home may not be in yours. We will help you teach your new dog this necessary skill and based on your schedule. My age: Estimated birth date 2/13/2014 Please note - we do not ship dogs. If you are interested in adopting, please take a look at the distance between the foster home location and your location and make sure you are willing to make that trip. Most of our dogs are at our farm in Pacolet, South Carolina. To apply, please visit our webpage at www.carolinapoodlerescue.org and visit the tab on the left that directions you to the online application. Please note that when screening applications, we look at the entire home and then make suggestions based on what would be a good fit for your home. You are not being screened for a specific dog although we are looking to see what type of dog interests you - poodles or non poodles, color, age, etc. Others here may be a better fit for you. It is very difficult to get to know a living animal from a picture and a short description. Since we are constantly getting in new dogs, this may be a dog not in our listings yet. We want you to be very happy with your new companion and will make suggestions based on what you tell us about you. Thank you for considering CPR.